Kinloch House excels at romance. It has become a special place for so many couples. Enjoy memorable romantic breaks in Perthshire at one of the very finest Scottish country house hotels. Where better to forget the pressures of daily life and focus on each other. At Kinloch House you can be together – and be yourselves. Your time here can be as active or as relaxing as you wish. And at the end of the day reward yourselves with superb, intimate dinners by warm candlelight. Our aim is to provide everything you need for that special romantic getaway – escape to a stunningly beautiful Perthshire retreat. Romantic Scotland at its most indulgent! 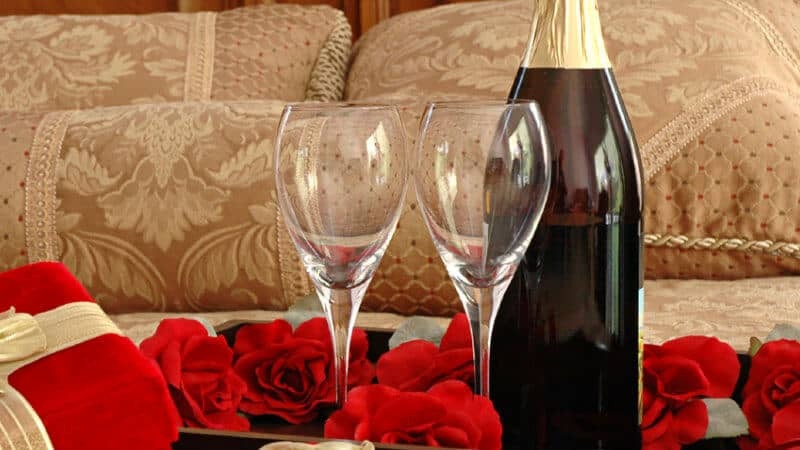 We can personalise your stay by adding flowers, champagne and chocolates in your room. We can book a special table for dinner and arrange for a luxury breakfast in your room. Choose from our choice of rooms and suites to enhance your stay. Call our team on 01250 884237 or email [email protected] to arrange your romantic break at Kinloch House.